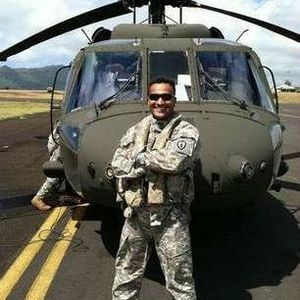 Chief Warrant Officer 2, Suresh N. Krause, served in the U.S. Army as a UH-60, Black Hawk Pilot. He was serving his second tour in Afghanistan. Suresh was killed in action when the Black Hawk helicopter he was piloting crashed during a fire fight in Kandahar Afghanistan August 16th, 2012. Born June 18 1983 in Sri Lanka, Suresh came to the U.S. February 11th, 1998. “Ba” (Suresh’s nickname which is short for baby as he was the youngest) was a graduate of Cathedral City High School and went on the earn a degree in Aeronautical Science from Embry-Riddle Aeronautical University in May 2005. Suresh enlisted into the Army in 2007. Suresh is survived by both his biological and adopted parents and a large Sri Lankan and U.S. family. Arrangements are under the direction of Forest Lawn, Cathedral City, CA. Thank you for your support during this difficult time. Please enhance this tribute to Suresh by adding your memories and photos. Rest in Peace Warrior, you have served your adopted country nobly and with honour. We are proud of what you have achieved in your young life. Condolences to the family. We are deeply sorry to hear about the death of Niranjan. He sacrificed his life for his country. My warmest condolences equally go to several thousands of innocent Afghans killed by American and NATO invaders. Realistic final scenario of the Afghan invasion is few American and NATO invaders and Millions of Afghan civilian death toll only. They killed nearly 2 million in Korea, 3 million in Vietnam, Laos and Cambodia, over 1 million innocent people in Iraq and Afghanistan. What will be next? George Bush, Condeleza Rice, Barak Obama, Hillary Clinton and Pentagon Gang.